We love a good oil and vinegar dressing, but ever so often we crave a bit more; looks like we have hit one of those plateaus, you can certainly expect a few more recipes coming your way. Today, we’d like to introduce a simple, but different and delicious dressing for your favorite salad. 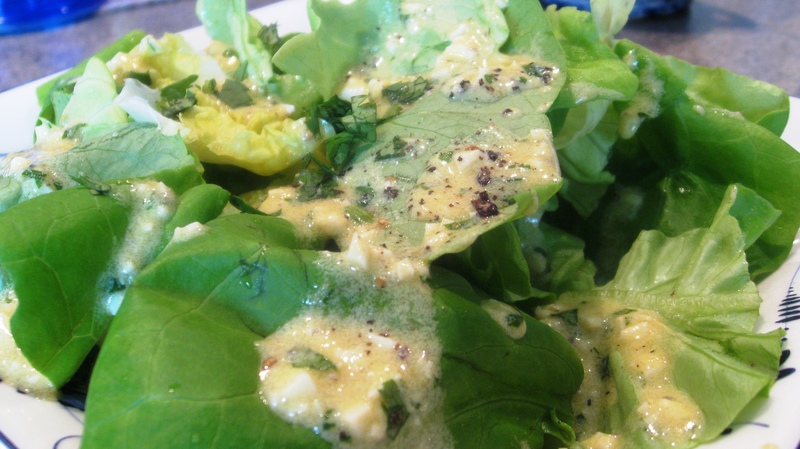 We served this dressing on top of some fabulous chilled organic butter lettuce. 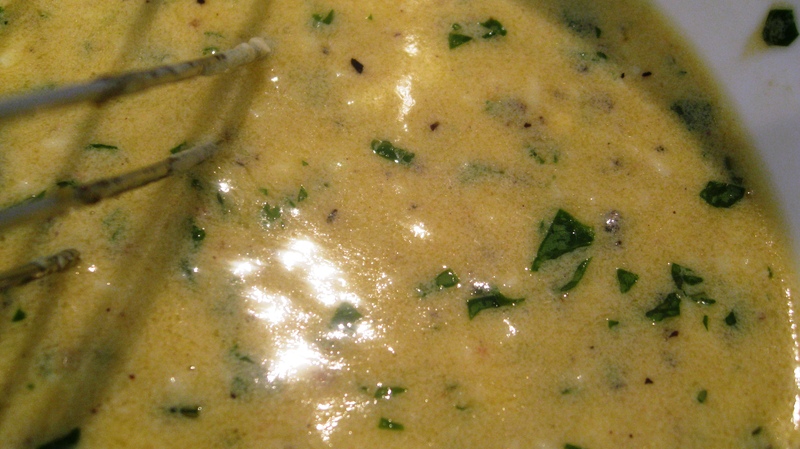 Whisk egg and mustard together, then adding all other ingredients. I like to prep this 15 minutes before serving as the flavors will begin to marry and really pop for you. This is not an overpowering flavor, but rather a velvety compliment. Feel free to enjoy with a filet of anchovie or two if you are so inclined, and of course depending on what you are pairing this with. A keeper! This looks delicious!